Apiezon® Waxes and Sealing Compounds - Inland Vacuum Industries, Inc.
Apiezon Waxes and Q Compound are versatile temporary to permanent vacuum sealants manufactured by M&I Materials. 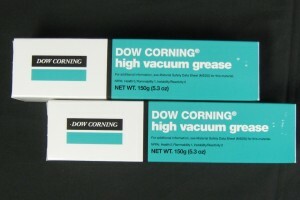 They are excellent waterproof materials designed for ease of application and removal. Apiezon Waxes are ideal for use in vacuum systems for a number of different applications, including thin film deposition, transistor and circuit manufacturing, and soldering. Because of their high molecular weight, Apiezon Waxes have strong absorption properties and thus a powerful “gettering” action; they are effective at absorbing grease or chemical impurities on surfaces. 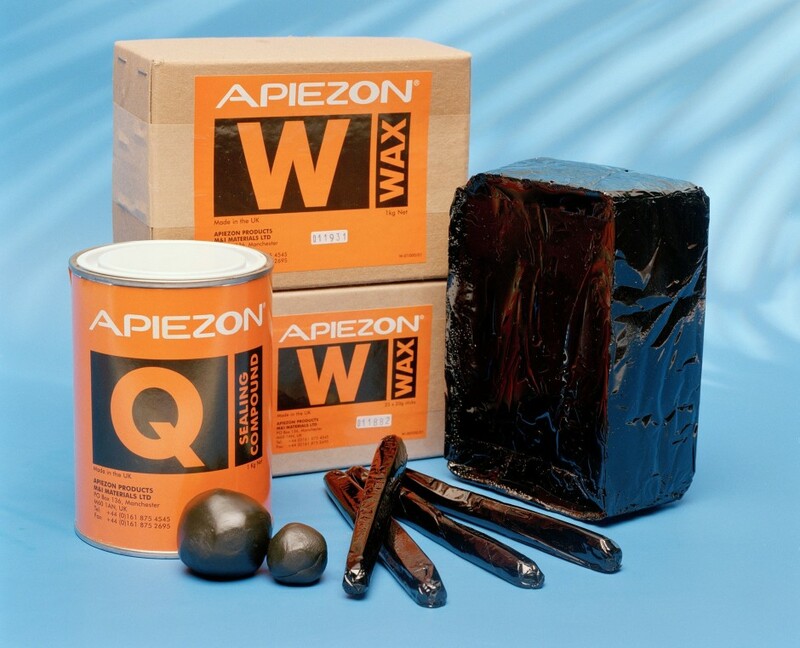 The shelf life of both Apiezon Waxes and Q Compound is ten years from the date of manufacture, provided the product remains in the original unopened packaging and is stored at ambient temperature. Apiezon Wax W is the “first choice wax” for most applications, as it has the widest temperature range; the lowest vapor pressure; and the most resistance to acids, alkalis, and water. 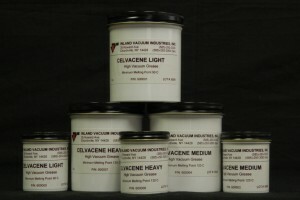 It has the hardest consistency and can be easily applied with heat from a small blow torch or Bunsen burner. Apiezon Wax W can be used down to a vapor pressure of 4.5×10-9 torr at 20°C and up to a temperature of 75°C. Apiezon Wax 100 is a medium hardness wax suitable for more delicate applications such as glass joints that are subject to vibration. Also used to vacuum sealing and mounting, Apiezon Wax 100 can be used down to a vapor pressure of 4.5×10-9 torr at 20°C and has a working temperature range of -10 to 45°C. Apiezon Wax 40 is a soft vacuum sealant and mounting wax that can be used in hot water for application to heat sensitive joints. It is usable down to a vapor pressure of 6×10-8 torr at 20°C and has a working temperature range of -10 to 35°C. 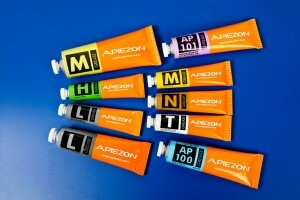 Apiezon Q Compound is a soft, putty-like material ideal for use as a temporary vacuum sealant. 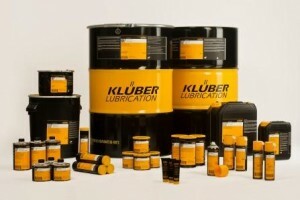 It may not be cost effective to shut down a vacuum system for repairs in the case that it develops a leak. In such cases, Apiezon Sealing Compound Q provides an effective seal that allows production systems to continue operating, thus reducing downtime until a maintenance period can be scheduled. Apiezon Q Compound can be used around the edges of joints, on glass cylinders and metal plates, and in holes and gaps in vacuum systems. It can be easily shaped, applied, and/or removed by hand on a wide range of surfaces. It is usable down to a vapor pressure of 1×10-4 torr at 20°C and has a working temperature range of -10 to 30°C.